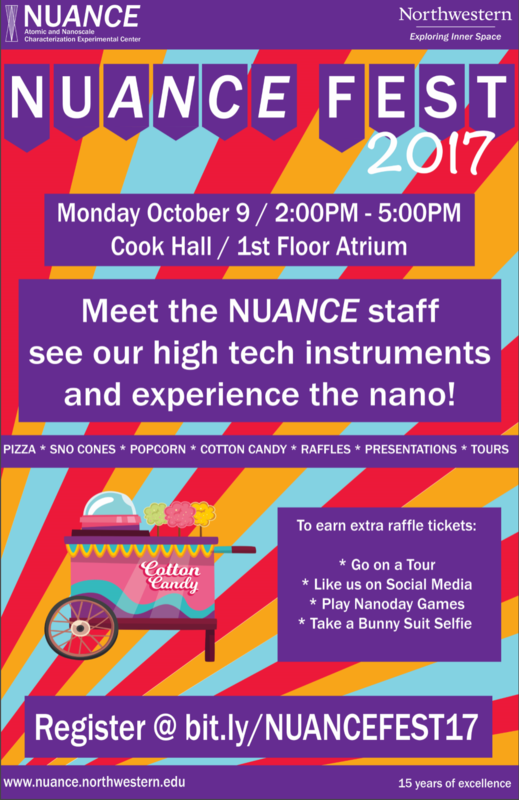 EVANSTON, IL – This year the Northwestern University Atomic and Nanoscale Characterization Experimental (NUANCE) Center will be hosting our annual NUANCE FEST on NanoDay 10-9 (Monday, October 9th ) from 2-5pm. NUANCE FEST is our open house, providing new students and staff an opportunity to tour our world-class facilities and interact with expert facility staff in a fun and festive atmosphere. 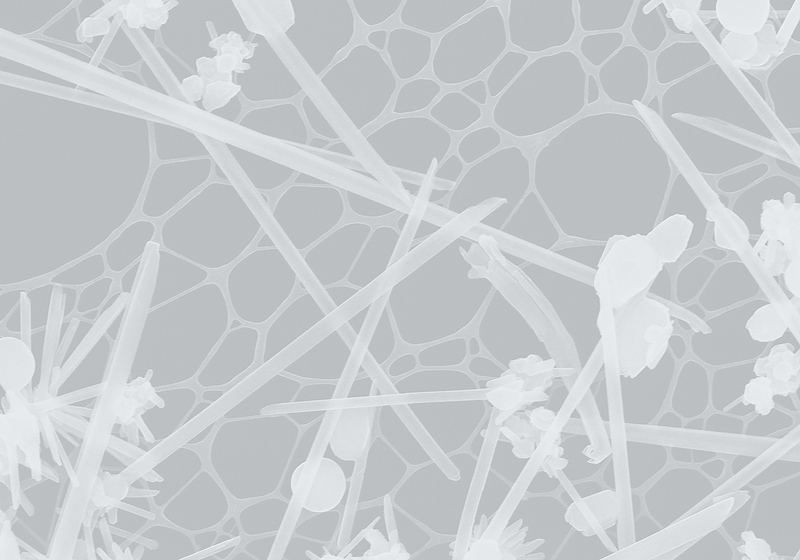 This year, NUANCE Fest will begin with tours of our main facilities – EPIC, SPID, KECK-II, NUFAB, and an introduction to our new BioCryo lab in Hogan Hall. After the tours, our annual Image Contest winners will be announced by Prof, Vinayak Dravid, followed by a reception in the Cook Hall atrium. The festival will include free pizza, drinks, raffles, NanoDay 10-9 games and festival fare, including sno-cones, popcorn, and cotton candy. If you are interested in attending NUANCE Fest or going on a tour please register here. Hope to see you there!